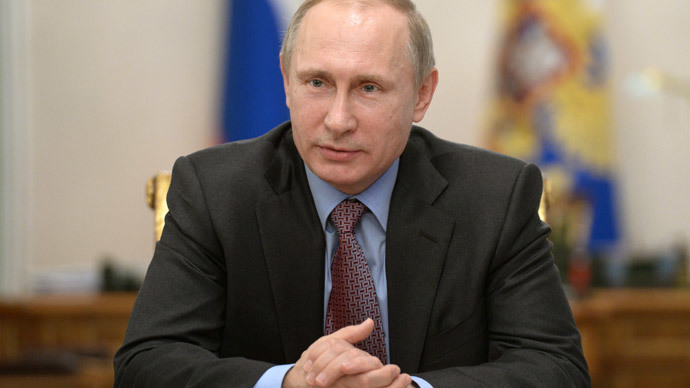 The latest poll has shown that 85 percent of Russian citizens trust President Vladimir Putin and 74 percent say they would vote for him if presidential elections were held next weekend. The poll, conducted by the Public Opinion Foundation on February 7-8 and released on February 13, shows that the current 85 percent trust rating is up from 75 percent in February 2014. The share of those who said they were ready to vote for Putin was also up from 45 percent one year ago. 84 percent of those polled said they approved of Putin’s work as president and only 7 percent admitted they were discontented with it. The general attitude toward Putin was also mostly positive – 75 percent of Russians said they sympathized with their leader. Fourteen percent said they had both positive and negative sentiments about him and 7 percent reported that their attitude to the president was purely negative. Other politicians’ ratings remained generally unchanged. Five percent of respondents said that if presidential polls were to be held next Sunday they would vote for the head of the populist-nationalist LDPR party, Vladimir Zhirinovsky. Four percent pledged support to the head of the Russian Communist Party, Gennadiy Zyuganov and 1 percent said they would vote for billionaire Mikhail Prokhorov, the founder of the pro-business party Civil Platform. The head of the Russian Institute of Socio-Economic and Political Research, Dmitry Badovskiy, connected the new surge in Putin’s ratings with Russia’s strong position on the Ukrainian crisis and personal diplomatic success of the president demonstrated at this week’s summit in Minsk. Another factor was people’s hope for Putin’s ability to cope with the ongoing economic crisis and return stability to the national economy. According to the expert, the results of the research mean that in the conditions of a real presidential election, Putin would win with a result approaching 90 percent. Putin’s approval ratings were on the rise in Russia last year and in December an overwhelming majority citizens named their president the “Man of the Year” when they chose among other serving Russian politicians. At the same time, the poll conducted by the Levada Center in October 2014 showed that the majority of respondents did not see the president’s popularity as a potential cult of personality. Only 19 percent said they had noticed features resembling a cult, compared to 27 percent in 2013. In early December, Putin’s press secretary Dmitry Peskov commented on the surge in the president’s popularity in an interview with RT. Peskov said that in his opinion Putin did not need any publicity, bad or good, and the people’s love for Putin was a manifestation of their love for Russia.